After growing up with their songs playing background during my childhood years, Queen has been in my blood for ages. Their music has endured in me since then however I had little knowledge about the band who sang them. I can only remember the lead singer, Freddie Mercury and that he died of AIDS related complications. It's seldom I watch biographical or true to life movies as sometimes they are different depending as to who was telling the story. In this case, its the remaining band members who are in control of story thus I assumed it would be factual as it ever be. The whole film is a filled with music, their music as to how it came to be. From the very beginning of how Freddy came into the band and of how he transformed it into what we know as Queen. It was nice giving a back story to some of the chart topping hits they made. 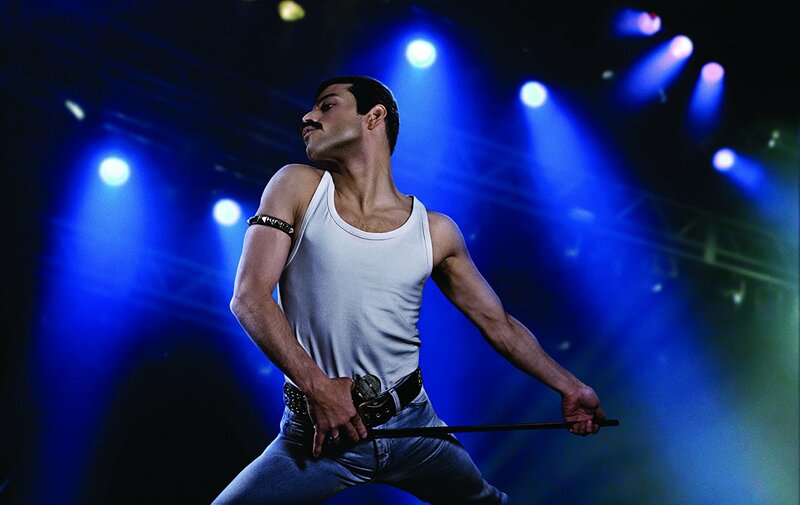 Freddie is the focus in the movie as it shows his travails into marriage to a life changing realization that he was a bisexual and how he and the band accepted the fact that he had contracted AIDS. If you are a music lover and loved their music, then this movie is for you. Their greatest hits are included herein and you won't be disappointed. Rami Malek (who plays Freddy in the movie) had his best performance here to date. Never knew he could play a huge role like this and pull it off. Kudos to Rami for being here, giving justice to the role of Freddy. He was scarily similar to the late lead singer. 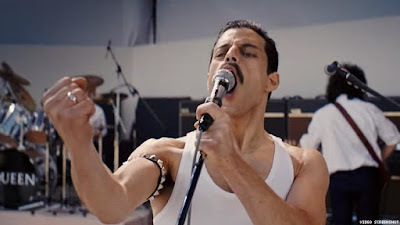 As Rami astounded us with his acting here, it was Gwilym Lee as the Brian May who stood out. His role of the Brian was truly topnotch and we were made to believe he is the real Brian May. His portrayal needs to be pointed out as you might only watch Rami's role in the film. I think it was Gwilym who really held the movie together. The other band members were okay in their roles thus passable to be the band members of Queen. Disappointingly, Mike Myers failed miserably to portray Ray Foster. His prosthetics or makeup reminded me of Tom Cruise in Tropic Thunder. His acting was questionable until I made a research on his character. Ray Foster was not existent. It was a fictional character (actually was roughly based on EMI executive Roy Featherstone) they created to highlight the executives who did not like the songs the band did. There goes the "true to life" part of the movie. As we felt that there were some blanks in the Queen timeline, we tried searching for these online. The more we searched the more we found loopholes and "fiction" in the story. We became detached from the movie. A big disappointment if you compare it how we "liked" the movie when we watched it. If you are here for the music, then watch on. If you want to find out how Freddy's life played out and how the band went through life, then don't take it in as a whole. Don't research about them after watching like what we did. Just enjoy the movie. 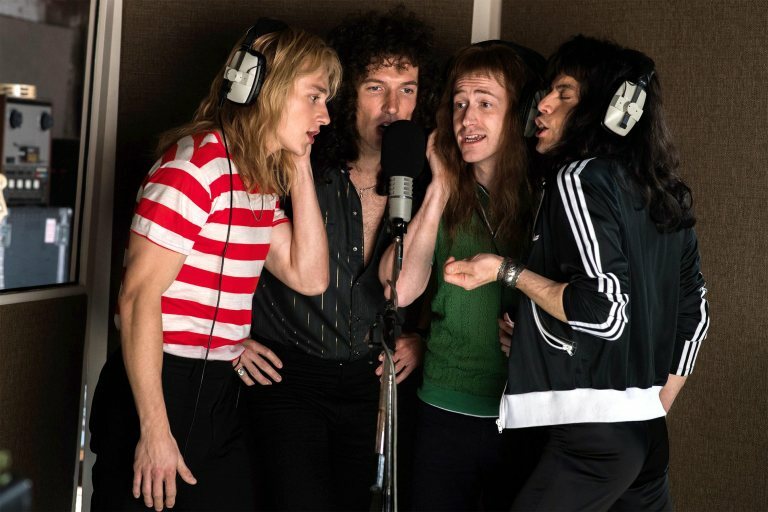 Yes we enjoyed the movie, we liked the songs, we liked how they ended the film with their show at the Live Aid in 1985. The recreation was superb but was short of 20 minutes, the time Bob Geldolf gives to those performing on stage. You may watch this in google as the performance will still blow you away even if this was from 1985. Click on the link herein. Overall the movie rocks, never mind the fact checks we made about it and stomp your feet and sing along with the film.